Every senior pet owner is familiar with the situation: that little pup that used to rip up the newspaper and run around with endless vigor seems a little slower after seven or eight years. Although your dog may not have the boundless energy he or she used to, this doesn’t mean your pet still can’t have an active lifestyle. In fact, making sure your furry friend is staying spirited is one of the many ways you can help your dog age gracefully. As your dog enters its geriatric phase, there are certain steps you can take to keep your dog both healthy and happy. There have been a lot of press and studies showing that the world is heading in the wrong direction weight-wise. This is also true for our pets. In the U.S., 52.7% of dogs are estimated to be overweight. This can pose a serious problem as a few extra pounds can add unwanted stress to your dog’s hips and joints. 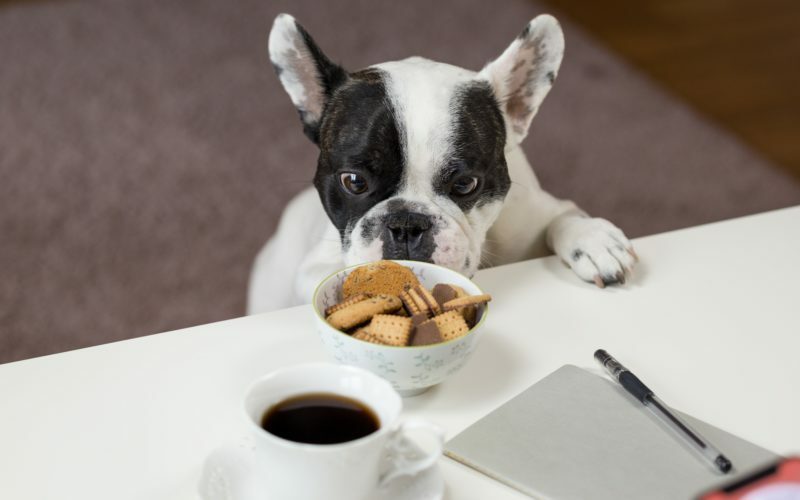 Moreover, dogs, just like their human counterparts, can suffer from weight-related issues like diabetes and heart problems. Besides regular checkup to ensure your dog’s overall health, make sure to switch your pet’s kibbles to a senior formula. Senior formula contains the right amount of nutrition, high-quality protein, and digestives that make meal time healthy and preventive. You may be surprised to learn that older dogs need fewer calories. Additionally, make sure to choose a formula that is higher in fiber. This will aid in your dog’s digestive health. Gone are the days where your dog would take you for a walk by pulling the leash as if he or she was in a tug-of-war-match. And while you may think your dog would rather just lie in a sunbeam all day, it is important to ensure that your dog gets some form of daily exercise. The daily walks may seem like old hat to your pet, but don’t be fooled. 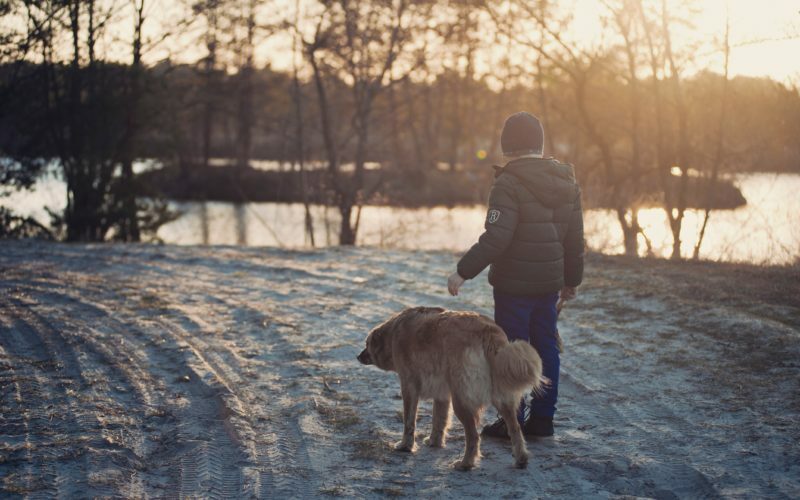 Not only does walking help to reduce stiffness and keep the blood flowing, but walks are the first line of defense in preventing or dealing with your pet’s arthritis. If your dog is suffering from arthritis, several short walks versus one longer one may be more beneficial. If you don’t have time for a walk, get out the old ball and start a classic game of fetch. Even moderate forms of exercise can benefit your pet physically, as well as keep your dog stimulated mentally. And let’s be honest, anything that gets you and your dog off the couch and away from a screen, just for a bit, is good for everybody. As your dog gets older, his or her teeth become more brittle. This means that rock-hard rawhide may not be the best chew toy for your dog’s choppers. Try to choose toys that are softer on your dog’s teeth and gums. Even at an older age, your dog can still appreciate a brand new plaything. Not only will a fresh toy stimulate your dog’s senses, but it may motivate him or her to get up and play a bit. Along with choosing safer toys for their oral health, make sure to brush their teeth regularly. Your dog may hate a good brushing just as much as you hate a visit to the dentist. However, it is great for their long-term health, just like that dentist appointment is great for yours. You may have to organize your home in a way that is easier for your dog to get around. Your loveable lab may have bounded up the stairs to curl up by your bed. However, as your dog gets older, running up all those stairs may put stress on your dog’s joints and increase the likelihood of a fall or injury. Moving your dogs go-to spots to more accessible areas will make it beneficial for your pet’s long-term health. Additionally, providing accommodations such as pet steps, ramps, and softer bedding guarantee your dog’s bedtime is a relaxing and safer one. You may cringe at the thought of one day spending your early nights at a bingo parlor with a lot of blue hairs, but socializing is good for the soul. And just like those little old ladies and men, your dog needs to interact with others too. Schedule play dates with your dog or take him or her to a dog park, so they can show those young whippersnappers how they did it back in the day. You may find your slow moving mammal still has a lot of puppy left in his or her heart. So what are you waiting for? Grab their leash and ball and get out there!